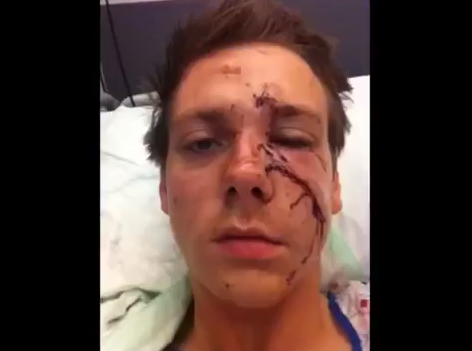 Man was "Glassed" in the face in unprovoked assault by random drunk man. Following reconstructive plastic surgery he took a photo everyday with iPhone app "Everyday" to track the scars healing. Video posted to show people that while damage after surgery/an assault may look bad initially, after months of healing the scars dramatically improve.